This entry was posted on June 9, 2010 at 8:00 AM and is filed under Beliefs and Superstitions, Modern Christian Mythology, religion. You can subscribe via RSS 2.0 feed to this post's comments. Agreed Eden is a myth. According to Science there never has been a time that all creatures lived in peaceful harmony and didn’t devour each other. The earth has always been a violent place, “kill or be killed.” Life cannot exist with feeding upon another life form. Some PhD scholars by the 1890s came to realize the Eden myth was a Hebrew reacst of Mesopotamian myths explaining why man was created, possessed wisdom like a god, and didn’t have immortality. The setting for these stories was a place called Edin, in ancient Sumer. Motifs from several Mesopotamian myths have been identified in the Eden story: (1) The Epic of Gilgamesh, (2) Adapa and the South Wind Myth, (3) The Igigi gods’ rebellions at Nippur and Eridu in the Atrakhasis Myth. Adam is Enkidu, Eve is Shamhat, Yahweh is Sadu the hunter all of the Gilgamesh Epic. Adam is also Adapa, Yahweh being Anu and Ea, the Cherubim are Gishzida and Dumuzi, the fruit of life and of death are the bread of life and of death, the garden of Eden is Eridu in the Sumerian Edin, next door to Ur of the Chaldees where lived Abraham, who probably recast these myths when he abandoned polytheism for monotheism. See http://www.bibleorigins.net for more info. In science Eden is a myth. But in Christion religon it’s as real as water is clear. I’m a Christion and I belive in Eden 100%. No dought,final. What does that mean? In science it’s a myth, but in Christianity it’s real? In an emotional or ritualistic sort of way? Or that you don’t believe in objective reality? The whole Bible is largely myth, myth is more important than fact. Myth represents wisdom, culture, aspirations. Myth also represents cultural memory and the unconscious. I wouldn’t be surprised if it was older than Sumer. Many stories have been put together in the Bible, some also from Egypt, some India. Then there is false authorship – King Josiah 640-610BC, a complete psycho who slaughtered priests of other religions, did a complete re-edit and inserted material. There are also false times, Book of Daniel was written in Greek period. Taking the Bible seriously is a big mistake, but the myths are interesting. Is there a smart person today who can put things together to become the future? I agree your posting is a myth. If you’re cryptic enough, it’ll prevent you from adding to the discussion. Garden of Eden is a trick story. It is sort of like a metaphor that humanity doesn’t get because they are in the wrong frame of mind. Fruit of the Tree of Life = the living experience that we witness by being conscious. 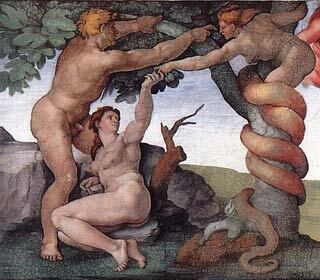 Fruit of the Tree of Knowledge of Good and Evil = Judging Good & Evil for your self. So, when you put these together, we can re-interpret the allegory to say basically: You can have any experience you want here, but if you judge good and evil, you will certainly die. So, don’t judge. That’s it, just be happy with all the experience. For further explanation, you may be interested in my blog about the philosophy of living forever. you’re not the only one who thinks like you do: thinking in terms of “good and evil” covers up the TRUTH. To see and listen without JUDGEMENT takes conscious effort. And after awhile you wont have to “belive”, you’ll KNOW!